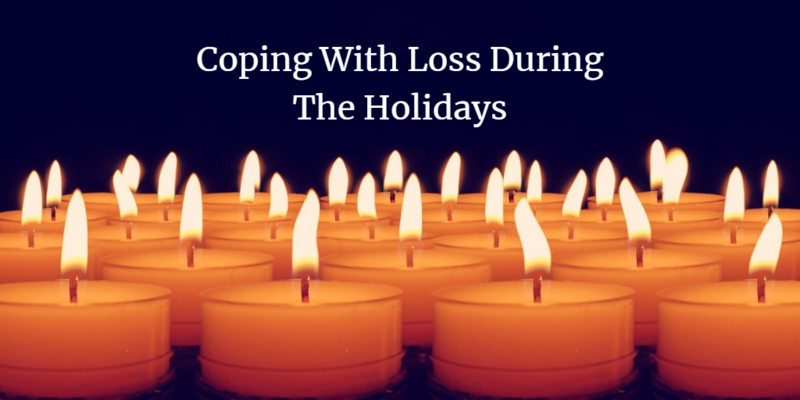 Coping with loss is always painful and unfortunately the holidays intensify that pain. What is supposed to be the happiest and most magical time of the year becomes sad, agonizing and lonely for those grieving the loss of a loved one. In my work as a psychic medium, one of the many uplifting things I’ve learned from spirits is they don’t want you to be sad. One of the reasons I wrote the books Never Letting Go and Evidence of Eternity, is to demonstrate how spirits are pure energy and connected to us. That energetic connection has another name: LOVE! Love doesn’t end at physical death. Through the energy of love, spirits know what is happening in your life. I’ve witnessed how they never want you to be sad. In fact, spirits have communicated how they didn’t want loved ones to skip a holiday or be miserable because of their passing. Of course, that’s easy for spirits to say—they’re pure energy! Energy doesn’t get sick, doesn’t get old, doesn’t die and isn’t in pain. For those living in the material world, not being sad is easier said than done. Finding inner peace after the loss of a loved one is a long and difficult process. Then again, if having inner peace were easy, everyone would have inner peace. Getting to the point where you can celebrate a holiday is a goal to strive for in the healing process. It’s not disloyal to your loved one laugh again. And, if not celebrating a holiday this year is too difficult, then don’t! Wait until you are ready. It’s also important not to face the holidays alone. This is the time to reach out to family, friends, your faith community or even people on social media. This is why I formed the Never Letting Go Grief Support Group on Facebook. It’s a forum of compassionate and caring friends who share their feelings in a positive and non-judgmental environment. One of the most important healing tools in the journey through grief is to make contact with your loved ones in spirit. This can be an uplifting experience which leads to a renewed sense of well-being that helps lead to inner peace.